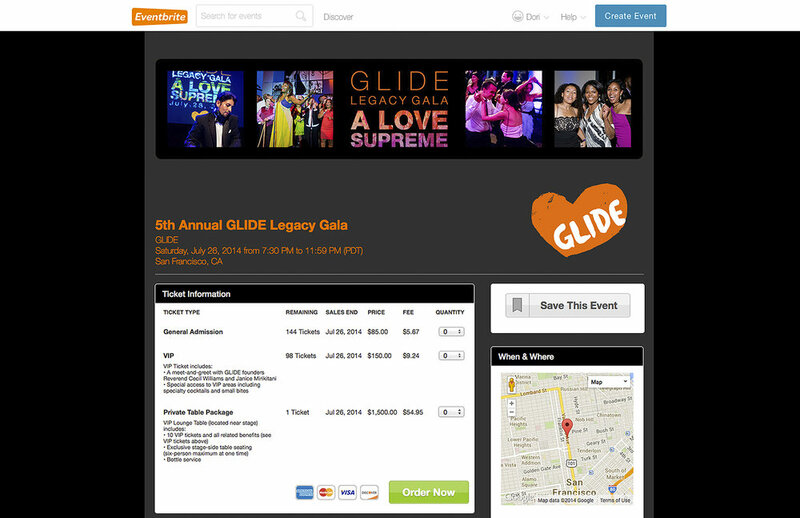 While at Glide, one of my main responsibilities as Communications Associate was to update web content and maintain brand design across several platforms. 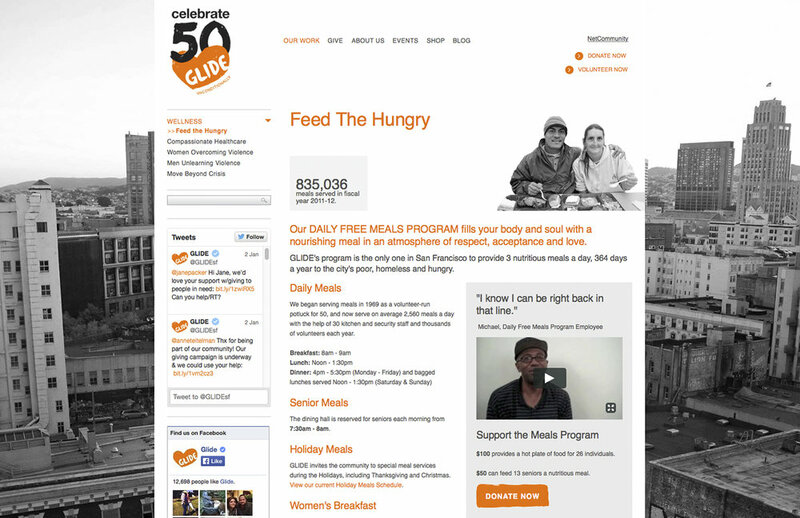 When I first started the position, the organization had one website built in the Blackbaud/NetCommunity CMS. 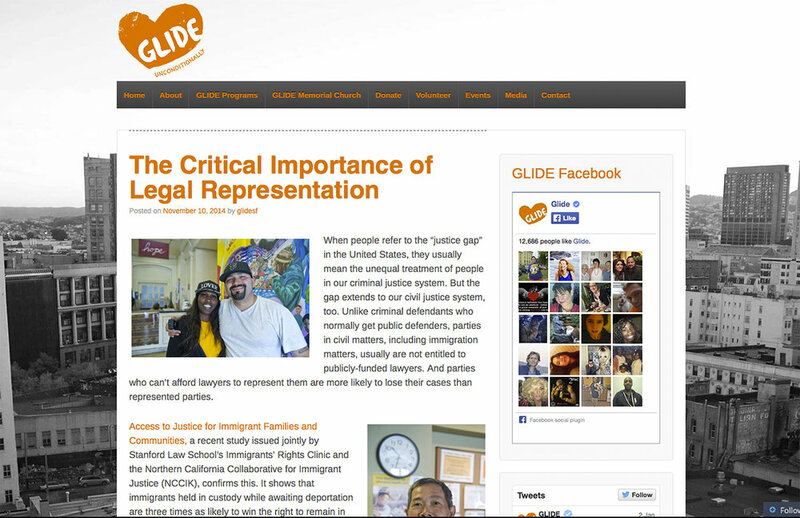 I consistently updated this main site [glide.org] and the Wordpress blog [wordpress.glide.org], while also researching several new platforms. 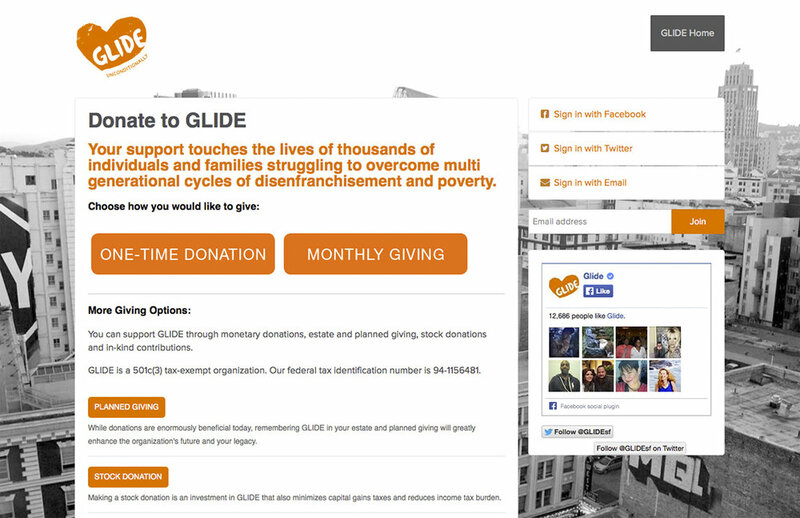 We then implemented the NationBuilder CRM, and I designed custom mobile-friendly donation pages linked to individual campaigns [glide.nationbuilder.com/donate] as well as responsive e-mail templates and monthly e-newsletters. 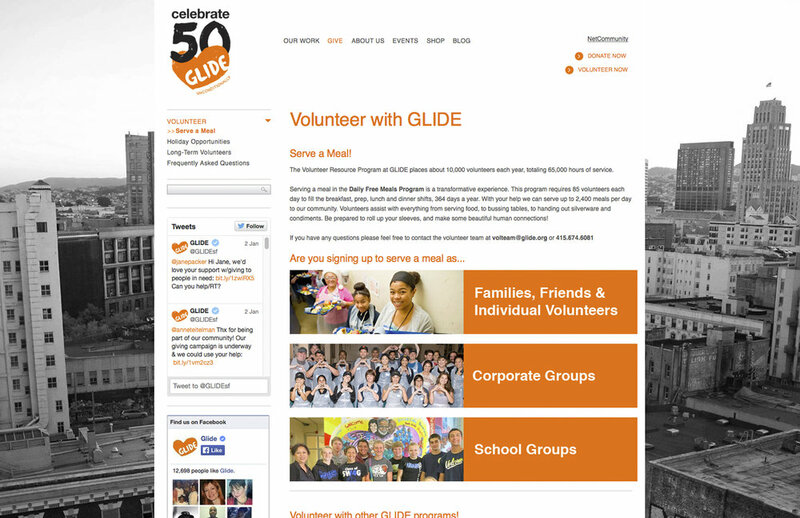 I also contributed web graphics and design input for the VolunteerHub site [glide.volunteerhub.com]. 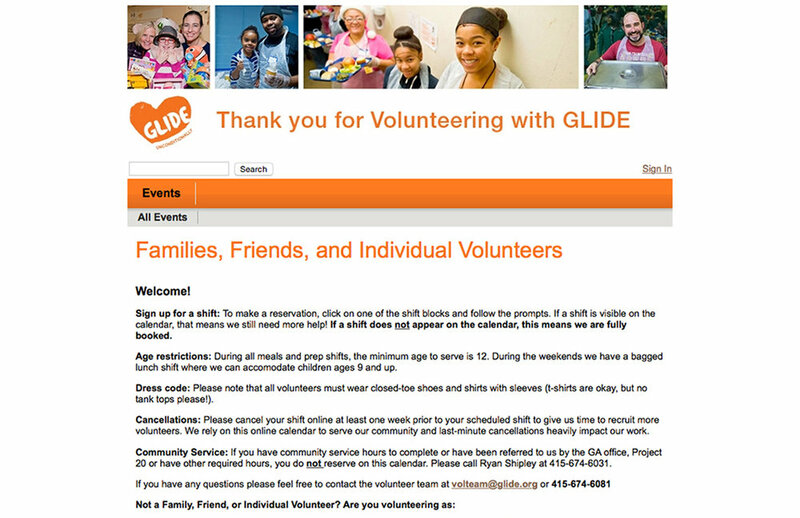 Most importantly, I collaborated regularly with staff from different departments to update the images, written descriptions and calendar events for all of the Glide programs.